Alphabet beads are all the rage for personalized pieces like necklaces, bracelets, scrapbooks, or mixed media projects. 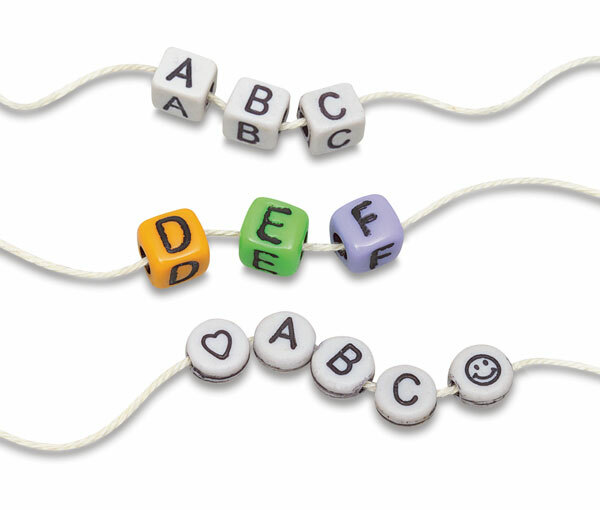 Black letters on white cubic beads, measuring 6 mm in diameter. Each package contains approximately 128 beads.